Simone Biles put the finishing touches on one of the greatest Olympics by a gymnast, capturing her fourth gold of the games with a showstopping performance in the floor exercise on Tuesday. Simone Biles added a third gold medal to her haul on Sunday, easily capturing the women's vault final. She became the first American woman to win the event at the Olympics. 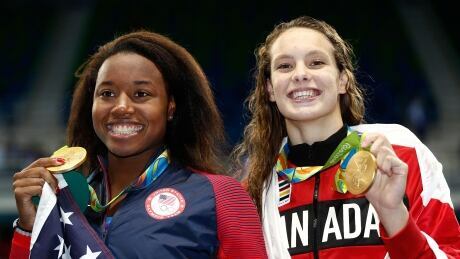 The medals kept coming for Canada out of the swimming pool, as 16-year-old Penny Oleksiak made history with her fourth medal of these Games, and Canada's first gold, highlighting Day 6 in Rio. 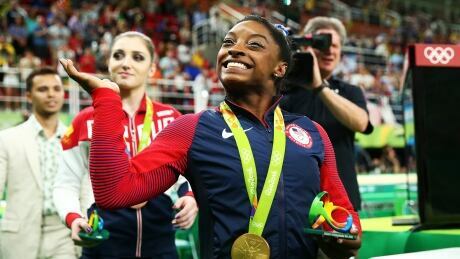 American Simone Biles captures gold in the women's all-around gymnastics gold medal Thursday, while Ellie Black earned Canada's best-ever Olympic finish, placing fifth at the Rio Olympics. Japan's Kohei Uchimura successfully defended his gold medal in the men's artistic gymnastics individual all-around event on Wednesday, showing why he is considered by many to be the best gymnast in the world. 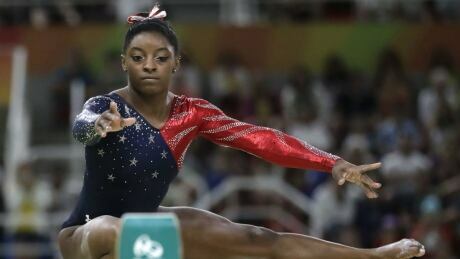 Simone Biles continued to cement her legacy as one of the greatest gymnasts of all time as the United States won gold in team artistic gymnastics Tuesday at the Rio Olympics. The United States came through with a dominant performance in women's artistic gymnastics qualifying on Sunday, led by 19-year-old superstar Simone Biles. When Ellie Black went to the London 2012 games, she was 16 years old and a long shot to make the team. 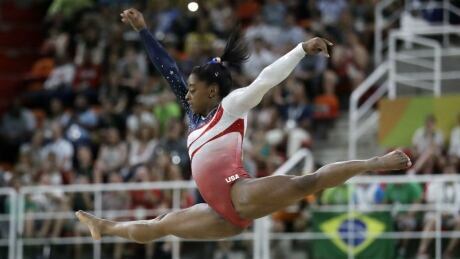 Heading into Rio 2016, she's 20 and has the leadership position she so heavily depended on four years ago. Watch live now as Gymnastics Canada unveils the five women representing the artistic team headed to the 2016 Rio Olympics. 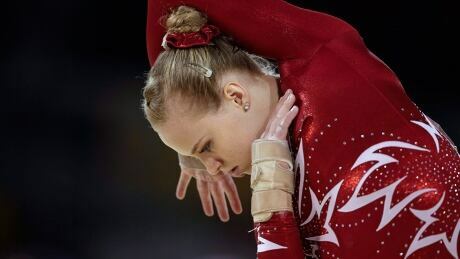 ?Halifax’s Ellie Black, Calgary’s Brittany Rogers and Isabela Onyshko of Brandon, Man., have secured three of the five spots on the Canadian artistic gymnastics team for the Rio Olympics in August. You are currently browsing the archives for the Sports/Olympics/Rio Olympic 2016/Artistic-Gymnastics category.